Zach From Little People big World and he isn't retarded he has dwarfism. So that's why it was canceled.. Proof duck tape can fix anything. CALM DOWN! Here, this should hold you. 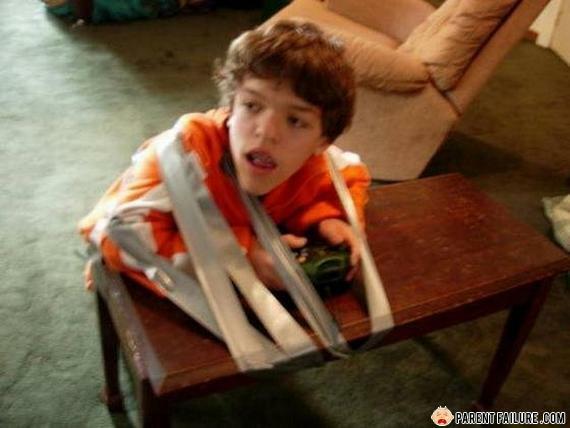 Duct tape....a babysitters greatest tool!!! Attention deficit hyperactivity disorder therapy. Assuming he's living in Iowa.